Join us for our premiere cabaret production in the Aronoff Center’s intimate Fifth Third Bank Theatre. Musical-theatre fans will enjoy hearing Broadway classics, old and new, as we celebrate the many aspects of love. 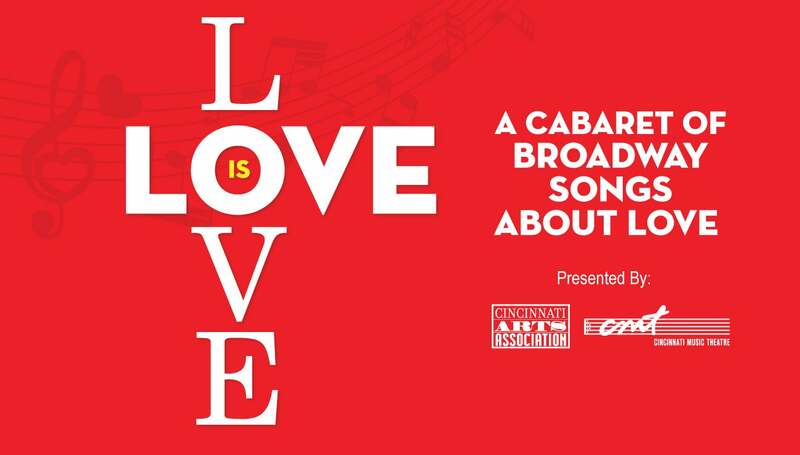 This witty and touching revue, performed by Cincinnati Music Theatre’s finest talent in a cabaret setting with tables and chairs, features songs such as “Seasons of Love” (Rent), “Love Changes Everything” (Aspects of Love), and “Falling Out of Love Can Be Fun” (Irving Berlin’s White Christmas). The perfect show for a Valentine’s date or a special evening with someone you love! Ticket includes a cheese/fruit plate and one beverage; ticket price includes all fees.